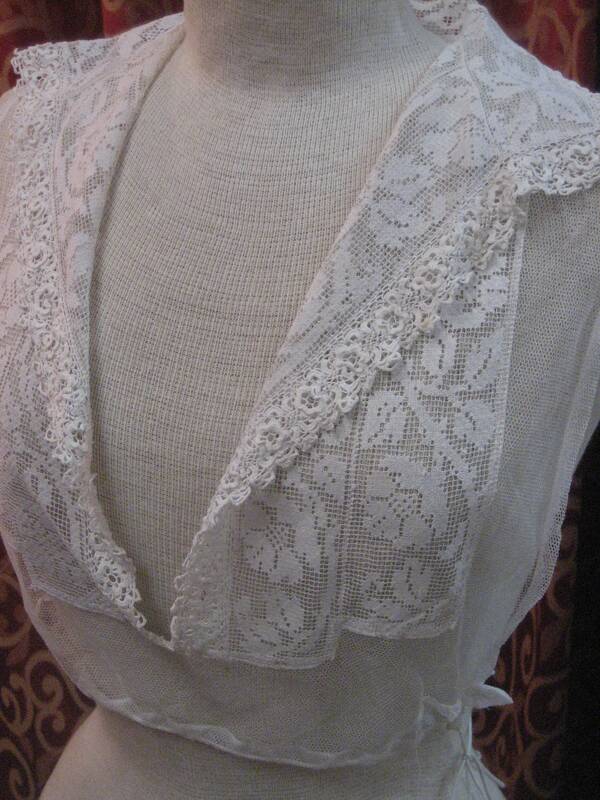 1915, 32"-36" bust, net cotton and lace, ecru color dickie. 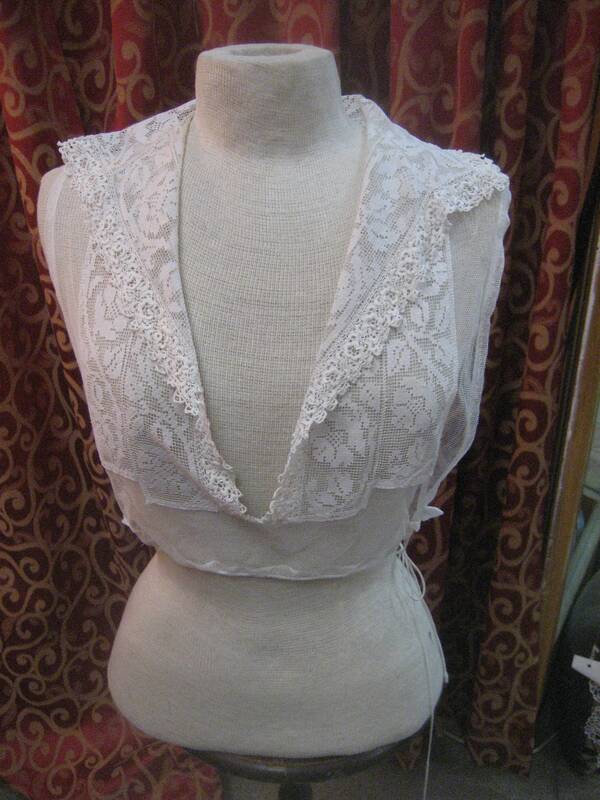 Neckline is open and V shaped lapels middy style dickie, with open sides and closed back. 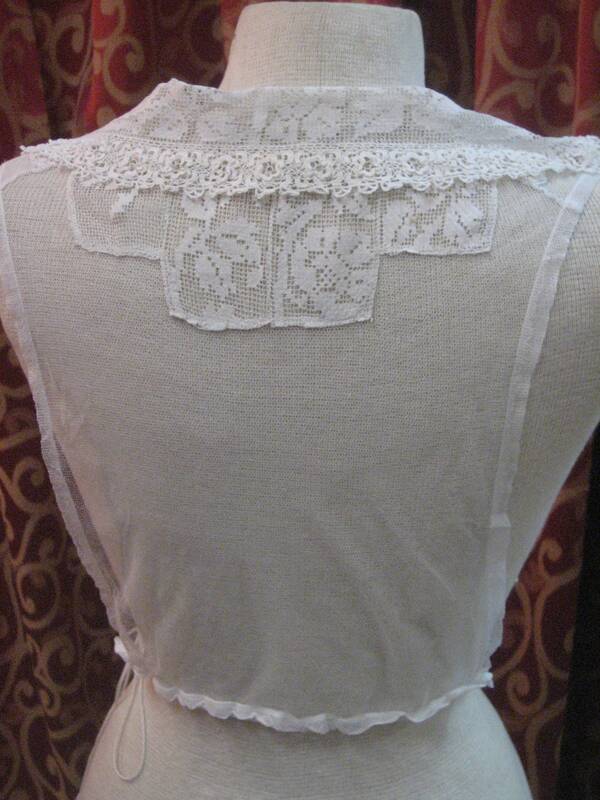 Draw strings at waist adjust s to size.